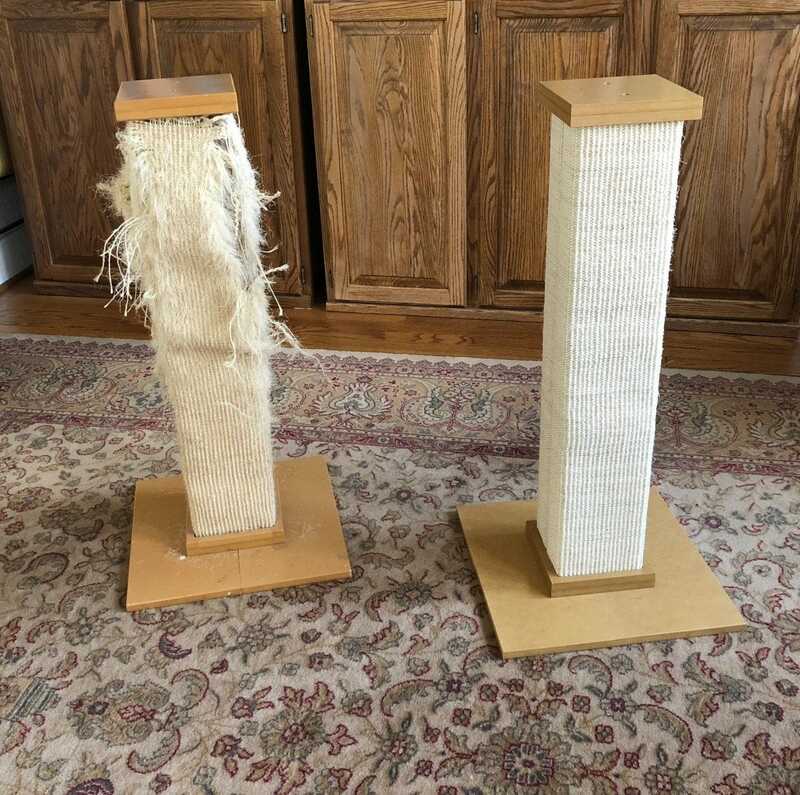 If you’re a cat owner in search of a scratching post that’s inexpensive, stable, tall, and so durable it lasts for years, then we’ve got the scratching post for you. It’ll probably be the best purchase you ever make for your cat (and your furniture). Recently I noticed that my cats’ scratching post, the SmartCat Ultimate Scratching Post, was looking a little rough around the edges. I have four cats and they, naturally, put the hurt on any scratching post I purchase but it had been so long since I’d purchased a new scratching post I was genuinely curious when I’d purchased it. I dug into my Amazon order history and was astounded to see I’d ordered the post in December of 2011, seven years ago. Let me tell you, in the last seven years my cats have laid waste to a whole lot of things: cheap scratching posts, furniture, rugs, potted plants, and one even ate half a blanket, but they hadn’t been able to completely destroy this scratching post despite laying into it multiple times a day. With that kind of durability record, I ordered a second one, no questions asked. For the sake of comparison, here are the two scratching posts in my den with the seven year old purchase on the left and the now-three-months-old purchase on the right. Given that four cats attacked the left post for seven years, it’s pretty impressive how intact it still is and, if I would have used two simple tricks (which I’ll get to in a moment) it would probably still be going strong with no need to order a replacement. That said, what makes the SmartCat Ultimate Scratching Post so damn good? Here’s a run down of why my cats love it (and yours likely will too) and why it’s so durable. If you find a better scratching post for the price, I will fly to your home and eat it. I’m that confident this is the best product around. At 32″, it’s one of the tallest scratching posts around and, short of making your own, you’ll be hard pressed to find a taller one. Height is important because most cats will snub shorter scratching posts (and even if they use them they aren’t giving your cat an optimum experience). Cats dig their claws into tall objects and stretch their bodies out very firmly. It’s pretty much like kitty chiropractic care and yoga rolled into one and its very good for them. If your cats don’t have a nice tall owner-approved object (like this scratching post) they’ll use your couch or even the trim of your door frames instead. Two of my cats are very long and large cats and this is the only scratching post they’ll use. They need that full 32″ space to stretch themselves out to their satisfaction. Second, it’s sturdy. The top plate, base plate, and the post itself all have significant heft. The the post connects with two large screws to keep the post from wobbling or rotating, and the base itself is 16″ x 16″. Despite my two male cats (who are built like obese linebackers), flinging themselves at this thing for years, they’ve never so much as lifted the base a millimeter off the floor (even when jumping on top to use it at a perch). 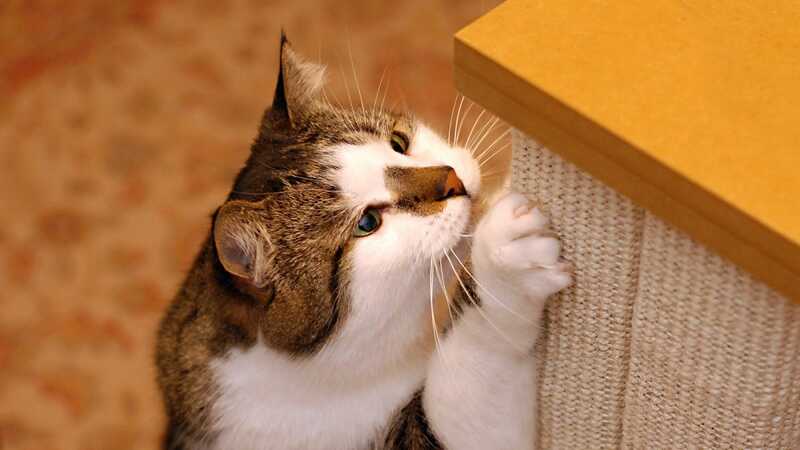 Sturdiness is critical when it comes to scratching posts. Cats want something as sturdy as a tree trunk, not some flimsy cardboard tube covered in carpet scraps that rocks and wobbles. Finally, the sisal-mat material the post is wrapped in is practically kevlar. 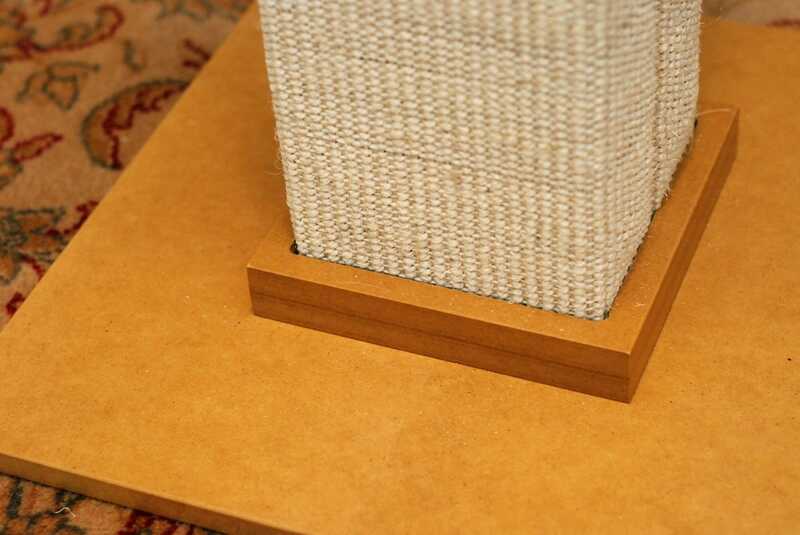 My cats will eat cheap grocery store scratching posts alive in a matter of weeks (sisal rope wrap wrapped or otherwise) but it took them years of focused attention to begin to wear through and fray the thick sisal mat on the SmartCat post. Speaking of wearing through it, it’s time for those longevity tips I alluded to a moment ago. 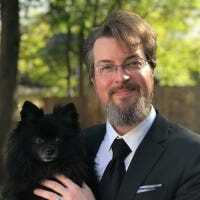 when I was examining post while contemplating ordering its replacement I realized I could have done two simple things that would have radically extended the life of the post beyond even the already lengthy seven years. The spacing on the base plate and top plate holes is the same. Even though they use slightly different screws you could easily swap them. By flipping the post upside down every few months it would have evened out the wear (you’ll notice in the photo above that the bottom part of the post is in, more or less, mint condition). Further, I rarely rotated the post itself so the same two faces of the post were turned towards the center of the room it was in. While I saw the cats use all sides of it, they clearly favored to the two sides that were immediately accessible to them. Just rotating the post every time I moved it to vacuum the room would have extended the life of the post significantly. Honestly, had I done those two things I bet it would last ten years or more, no problem. So how much for a scratching post so good it’s practically the eighth wonder of the world? A mere 40 bucks. Considering the crappy no-name brand posts you find at the grocery store and most pet stores will run you $20-30 and they barely last a few months, this might just be the best dollar-per-hour purchase you ever make for your cats. You can spare your furniture, give them a great spot to scratch and stretch, and all for less than a bag of premium cat food. Whether you listened to us or you picked it up on your own, you’re rocking the best ebook reader out there—the Kindle Paperwhite. Now how about protecting it with a cool and useful case? We’ve rounded up the best.